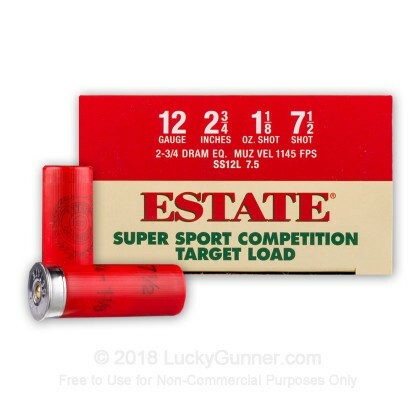 Estate Super Sport Competition Target 12 Gauge #7-1/2 Loads are a high quality target shell, for a superior day at the range, busting clays! 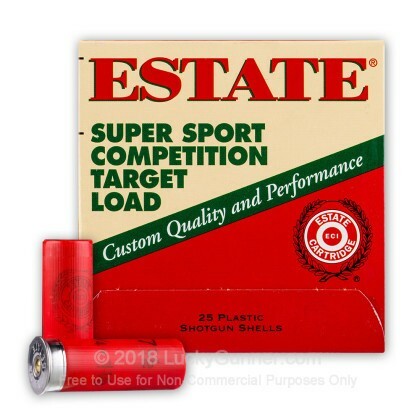 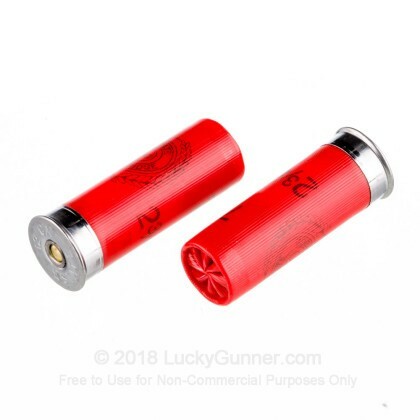 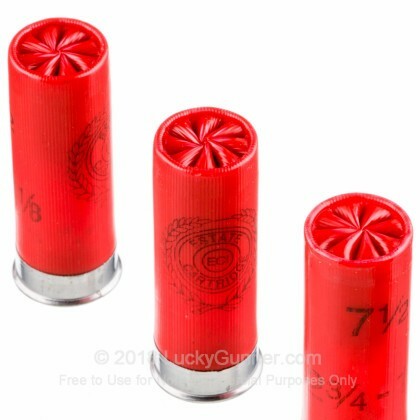 This load features shells built from high quality plastic, with plated metal heads for added strength and a unique plastic wad, which reduces shot deformation and provides an excellent gas seal, for a smooth recoil and a tight shot pattern. 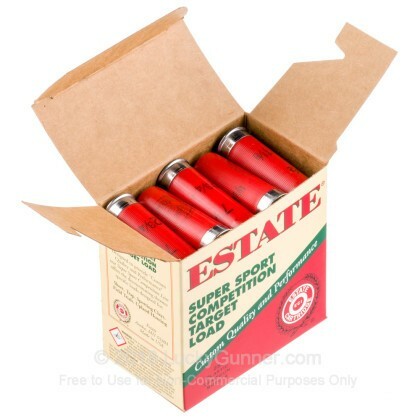 Estate cartridges feature specially blended clean burning powders and reliable primers to provide consistent ignition. 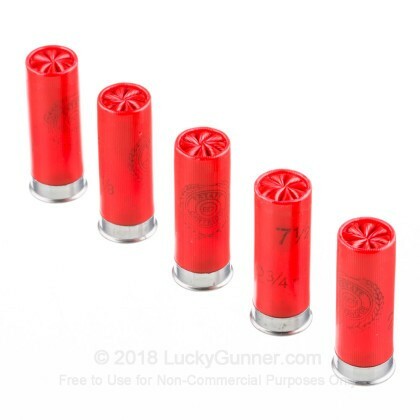 With high antimony shot for the ultimate in patterns and performance, these #7-1/2 load shot-shells are also a great choice for home defense.